Is there a better alternative to Historian? Is Historian really the best app in Internet Utilities category? Will Historian work good on macOS 10.13.4? 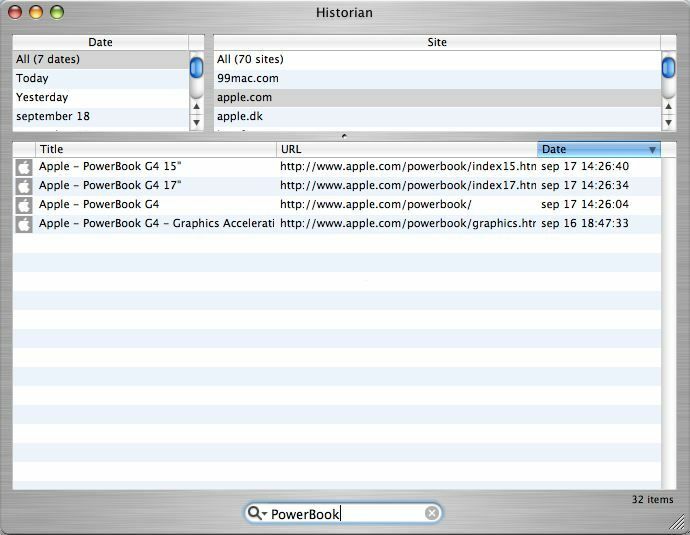 Historian lets you browse through your Safari history in a convenient way, by date and site. To help you narrow down your search for the page you visited the other day, you can use the familiar search field. Historian needs a review. Be the first to review this app and get the discussion started! Historian needs a rating. Be the first to rate this app and get the discussion started!